This is a handmade key pendant based on the Ultima Keyblade based on the hit video game Kingdom Hearts, of which I'm a fan of. Made in antique bronze, the pendant measures 2 1/4 inches long. The ring is a nice size for any size chain or cord. The Ultima Weapon Keyblade is named after the eponymous sword in the Final Fantasy series. The Ultima Weapon is typically shown within the Final Fantasy series as a long sword, with a glowing blue/white blade and a golden handle. It is usually the strongest weapon for the main protagonist in the games it appears in. 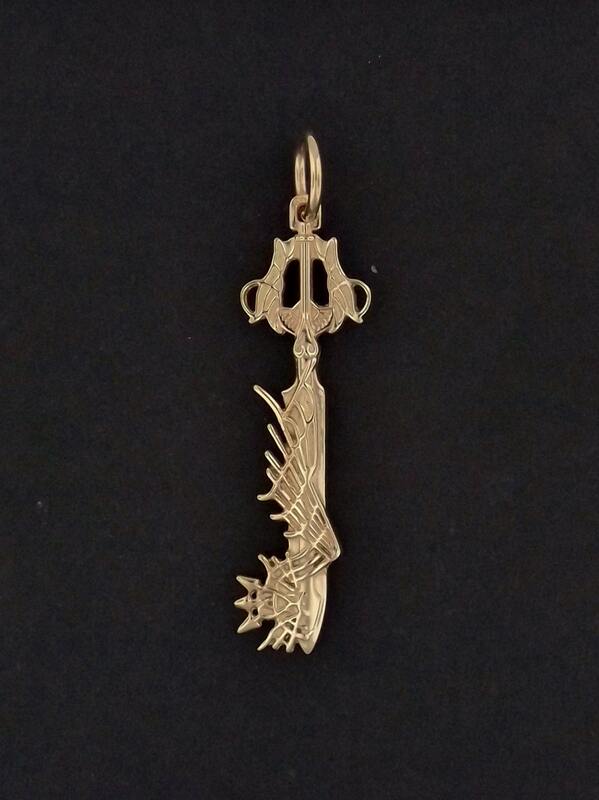 It is one of the most powerful Keyblades, and requires an incredible amount of effort to obtain in each game. Bought as a birthday present. Looks great and I hope he likes it! The pendant is beautiful! Thank you!